Unable to forget a performance of "Shinigami" performed by the rakugo master Yakumo in the prison where he was being held, Yotaro's first act upon his release was go right to the theater, where he begged, pleaded, and was finally accepted as Yakumo's live-in apprentice. After years of refining his art, Yotaro was promoted to the rank of Shinuchi and inherited the title of 3rd Generation Sukeroku. For the sake of his master Yakumo, Konatsu, and to change the image of Sukeroku inside them both, what kind of rakugo will Yotaro discover? 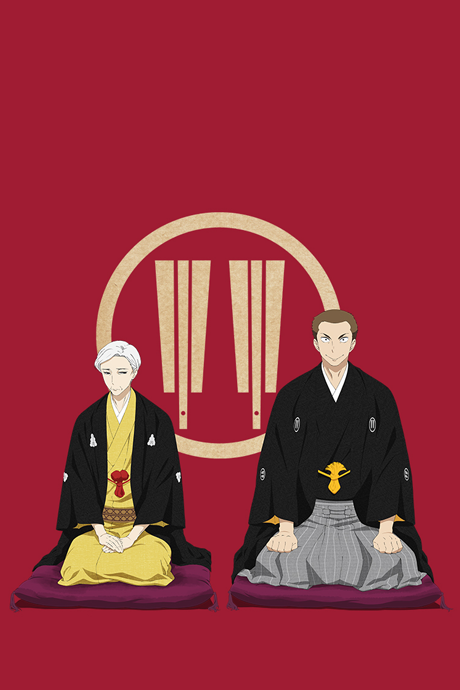 This celebrated human drama, based on a story by Haruko Kumota, offers an honest and sympathetic look into the lives and livelihoods of rakugo storytellers in the Showa era. This wonderful work of art deserves more attention than it has gotten, and all of the praise it can get. None of the uniqueness of the first season, but much, much, much more quality overall.